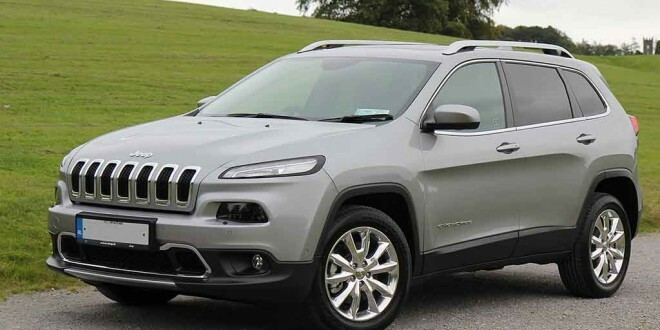 Jeep's new Cherokee is available with front or four wheel drive in two power outputs. Jeep have launched their Cherokee Jeep here and it’s all new from the ground up. Power comes from a choice of 2.0 litre diesel engines with either 140 or 170 bhp. The cleanest version, with front wheel drive comes in with emissions of just 139 g/km, making it among the cleanest in the class. 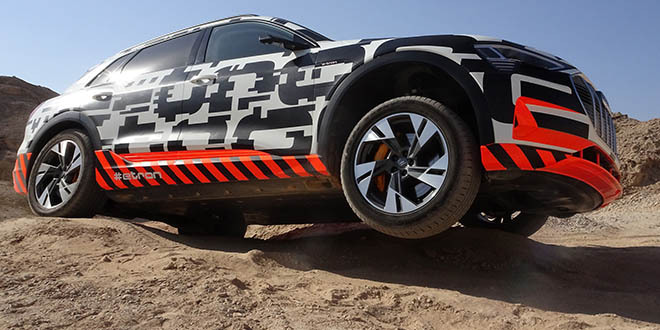 We had a chance to test the new Jeep’s off-road abilities on a short off-road course at Mondello and it proved to be very capable. On road, the drive is smooth and the cabin ambience has been significantly enhanced over the outgoing model. Four wheel drive models switch automatically between front and four wheel drive as needs dictate and there’s a choice of five transmission modes for use in various conditions. The standard gearbox is a six speed manual but a nine speed auto is fitted as standard to 170 bhp models. Inside, there’s plenty of tech, with a TFT screen for the instrument cluster. A 5” centre touch screen is standard but a larger, 8.4” version is also available as an option. Standard features across the range include cruise control, dual-zone air conditioning and parking sensors. An interesting optional feature is a wireless charging pad, fitted into the centre arm rest. This can charge a compatible phone without having to plug it in. Electric power steering is also used, which allows for the option of self-parking – both parallel and perpindicular. This is only available on top-spec Limited versions with automatic transmission. The Cherokee has a plethora of advanced safety features too, including Active Cruise Control, Lane Departure Warning, Blind Spot Monitoring, Rear Cross Path detection. Seven airbags and Stability Control are standard across the range. Prices start at €36,000 for the Longitude trim in 140 bhp manual form and front wheel drive. Moving up to a 4WD version of the same car costs an extra €3,500. The more comprehensively equipped Limited spec starts at €43,150 and prices go all the way up to €50,900 for the 170 bhp Limited with 4WD and a nine speed auto.